I read many posts about the correct way to post on Facebook and Twitter. I’m using these two as the example because they are the two most popular, but it really applies to other social media sites as well (Google+, LinkedIn, etc.). There are some things that those of us who manage sites are in agreement with, such as knowing your audience and knowing how each site works so that you can get your posts out there and seen in the best way possible. One thing I vary on with my colleagues is auto-posting directly from Facebook to Twitter and vice-versa. I have read in several places it’s considered a huge no-no. Business-killer. Makes you look like an amateur. I agree with this assessment, but only to a point. While I agree that you should not post as actively to Facebook as you do Twitter, in some cases it is ok to have updates automatically post from one place to another. Facebook now allows you to choose the type of posts you would like to automatically go to Twitter. I keep mine at Photos, Video, Notes, and Events. Status Updates are definitely a no-no because you need to keep posts to less-than-10-a-day (some say 5, I say it depends on your business). There is also a different dialogue on Facebook versus Twitter. At times you will talk about the same things, but you have to present them differently. Not to mention if your all of your Facebook updates post automatically to Twitter, then you are never on Twitter (and again, vice-versa). How would you know if someone is responding to your posts, or trying to connect with you? Links are are also bad to auto-post. 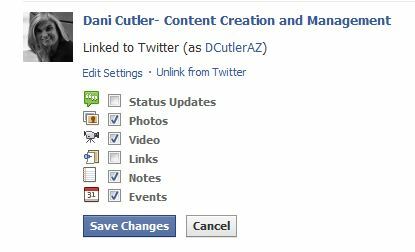 On Facebook when you post or share a link, you can set up the link in your status with a comment. Most of the time that goes way over 140 characters (I always try and say a little something about the link I’m posting, rather than just share with no comment). When that link is automatically posted to Twitter, your words are cut off, and the link will go to whatever story or blog post you were talking about. It takes away from your message, and looks sloppy. It’s better to make two separate posts. Again, and I really can’t stress this enough, you need to know your business, and more importantly your audience. For instance, if you are a photographer, it could be a good idea to have your photos automatically go to Twitter. I would hope in this case you are using Twitter for more than just a Facebook post dump. 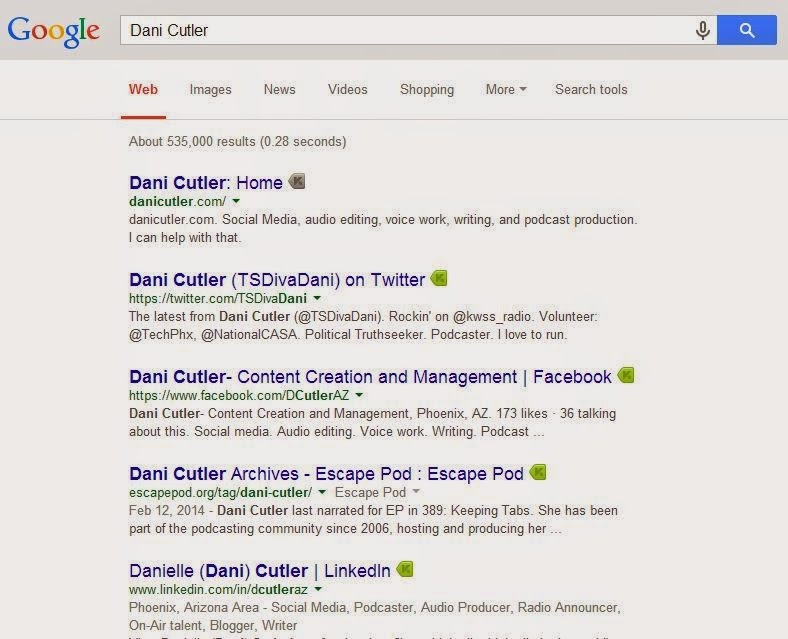 People are looking for different things on each site, and cross-posting can work if you use it smartly. This post applies to Facebook Pages. I’m not a big fan of suggesting how to run your personal page, because that’s YOUR playground. You do with it what you want, and your friends can decide if they want to see it or not. To me that is a completely different thing than promoting a brand.